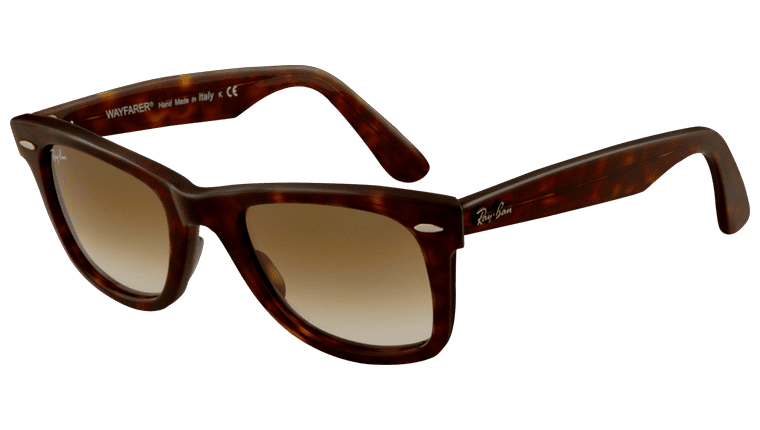 Another of Ray-Ban’s most popular sunglasses, the Ray-Ban RB 2140 902 58 Tortoise shell polarised Wayfarer sunglasses are the choice of many. The thick plastic frame made it popular back when it was produced back in the 50s as it made a bold move away from the conventional metals that were used for sunglass frames. 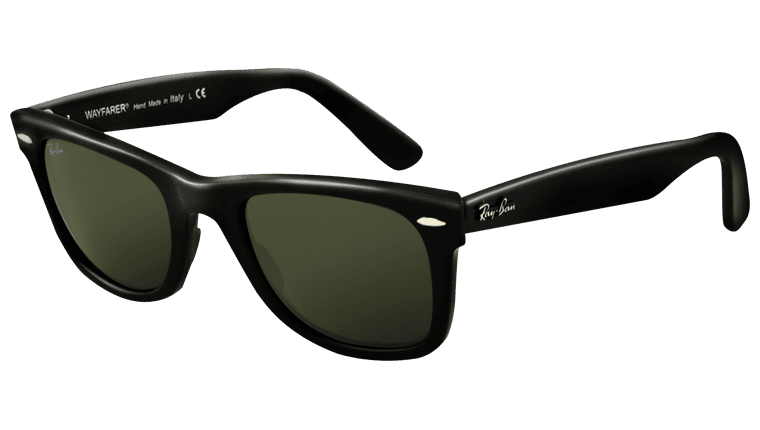 Appealing to the trendy crowd, the Ray-Ban Wayfarer RB2140s have been popular ever since and many celebrities have adopted the style as their chosen sunglasses. The vibrant colours and patterns available add to the bold look that they portray and ensures there’s a colour to suit everyone. 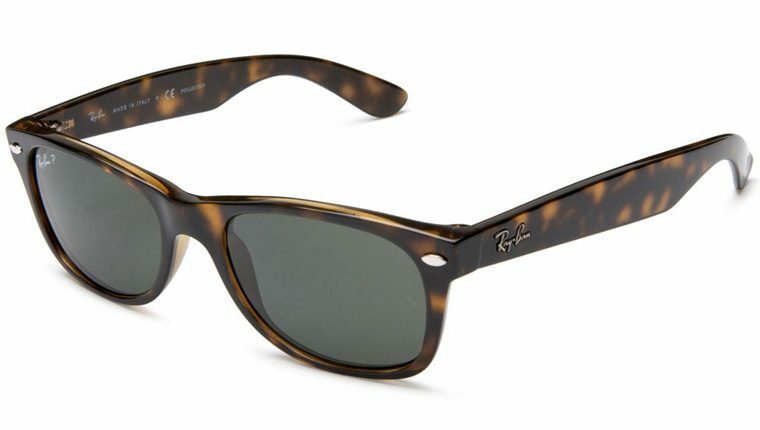 The famous Ray-Ban logo is printed on the top right corner of the right lens and a “RB” logos is engraved on the left lens adjacent to the arm. Available in a whole host of frame and standard and graduated lens colours, which all provide 100% UVA and UVB protection. 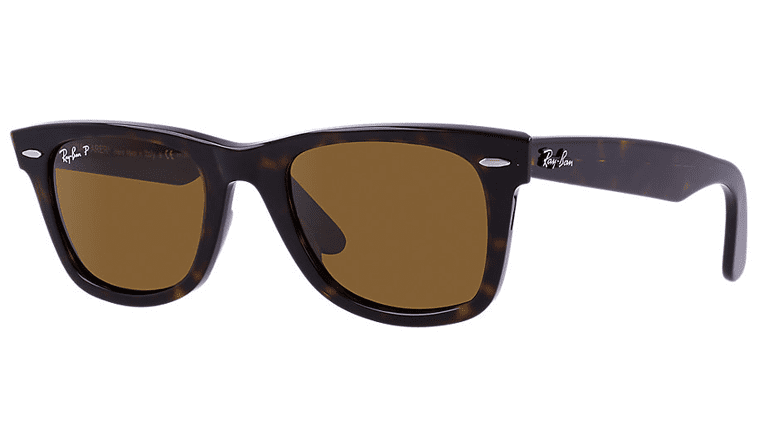 They come complete with a Ray-Ban leather case, a cleaning cloth and authenticity cards.